Romain Testuz. 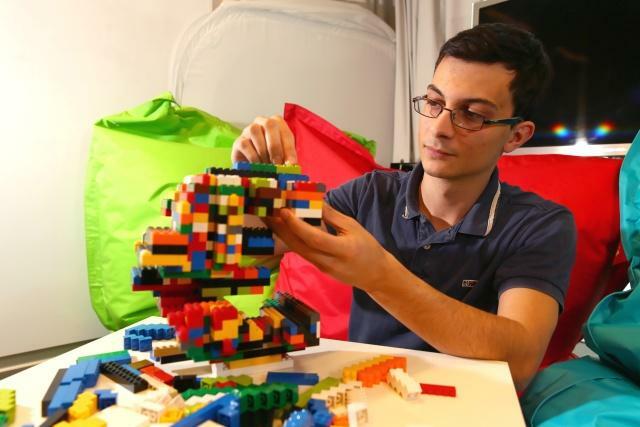 a student of the Laboratory for Computer Graphics and Geometrics (LGG) at EPFL, has developed software that automatically transforms a three-dimensional image into bricks and simplifies the challenge of construction by proposing a comprehensive plan of the parts to be used at each level. To overcome structural weaknesses, Testuz used graph theory, representing each piece by a node and each connection by an edge to detect where the structure is fragile and needs to be repaired. The software can offer several construction solutions based on available materials, and it also allows the user to choose the color of the model or any specific part of it.